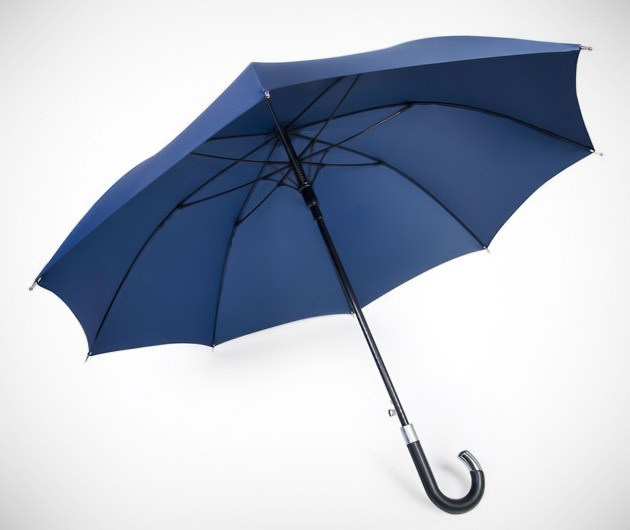 There are umbrellas, and there's the Davek Elite Umbrella - a contemporary take on the classic cane design. The wind-tension frame system ensures there are no more embarrassing inside-out mishaps should you find yourself in a gale and the 50-inch dome-shaped waterfall canopy is enough to keep you and a friend dry. It's even finished with a luxurious stitched premium leather handle with zinc accents that feels great in your grip.